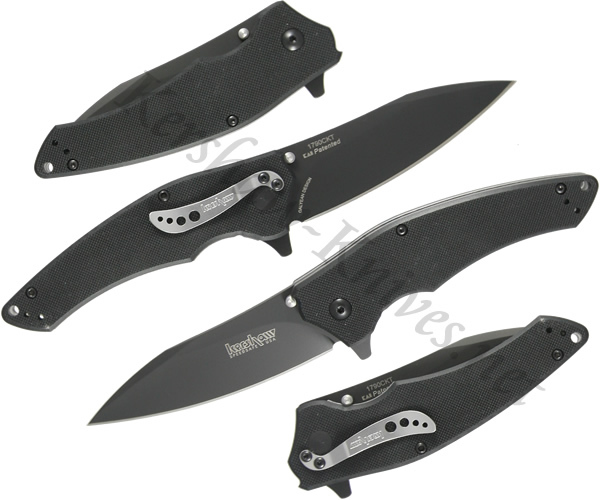 Kershaw teamed up with designer Tim Gaylean to create the Kershaw Turbulence TG1 1790CKT. The upswept, modified tactical blade is Sandvik 14C28N with a non-reflective black coating. The handle has textured G10 scales that are contoured to comfortably fit in your palm, and provide an aggressive gripping surface. The Turbulence TG1 has SpeedSafe technology that is set in motion with either the integrated flipper or dual thumbstuds. A reversible pocket clip is included.